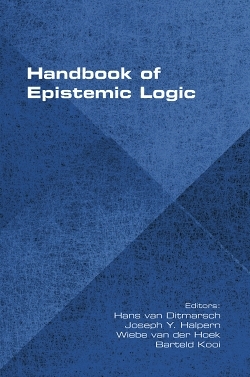 Epistemic logic and, more generally, logics of knowledge and belief, originated with philosophers such as Jaakko Hintikka and David Lewis in the early 1960s. Since then, such logics have played a significant role not only in philosophy, but also in computer science, artificial intelligence, and economics. This handbook reports significant progress in a field that, while more mature, continues to be very active. This book should make it easier for new researchers to enter the field, and give experts a chance to appreciate work in related areas. The book starts with a gentle introduction to the logics of knowledge and belief; it gives an overview of the area and the material covered in the book. The following eleven chapters, each written by a leading researcher (or researchers), cover the topics of only knowing, awareness, knowledge and probability, knowledge and time, the dynamics of knowledge and of belief, model checking, game theory, agency, knowledge and ability, and security protocols. The chapters have been written so that they can be read independently and in any order. Each chapter ends with a section of notes that provides some historical background, including references, and a detailed bibliography.